On February 21 State legislators, key academics, industry experts, government liaisons, and consumer representatives convened on Wednesday for an informational hearing of the California Consumer Privacy Act of 2018 (CCPA). Members of the committee heard from numerous stakeholders on ways to refine the law – ranging from suggestions on how to further clarify and address perceived workability issues from a business standpoint, to suggestions on how to strengthen the law from a consumer and privacy protections standpoint. Last year in California, the Legislature took on the historic task of enacting the most comprehensive privacy rights law in the nation. Beginning in 2020, the CCPA gives consumers the right to request from a business the personal information it collects or sells about them, its purpose for doing so, and with whom the personal information is shared. Consumers will also have the right, with limited exceptions, to request that a business delete any personal information collected from them. It gives consumers the right to “opt-out” of the sale of their personal information, while requiring “opt-in” consent to sell the personal information of minors up to 16 years of age. Finally, it prohibits businesses from discriminating against a consumer for exercising these rights. Since the passage of the CCPA, the conversations have focused on clean up and enforcement efforts. Today’s hearing was a recognition of the fact that there is more work to be done. The hearing was titled, “Understanding the Rights, Protections, and Obligations Established by the California Consumer Privacy Act of 2018: Where should California go from here?” It included expert testimony from Alastair Mactaggart, Chairman of Californians for Consumer Privacy; James Harrison, Attorney for Remcho, Johansen & Purcell; Veronica Abreu, Chief Privacy Officer for Square; Tanya Forsheit, Partner and Privacy & Data Security Group Chair for Frankfurt Kurnit Klein & Selz; Stacey D. Schesser, Supervising Deputy Attorney General for the Consumer Law Section – Privacy Unit at the California Department of Justice; Sarah Boot for the California Chamber of Commerce; Eric Goldman, Professor of Law at Santa Clara University School of Law; Kevin McKinley for the Internet Association; Margaret Gladstein for the California Retailers Association; Elizabeth Galicia, Vice President of Common Sense Kids Action; Lee Tien, Senior Staff Attorney & Adams Chair for Internet Rights for the Electronic Frontier Foundation; Nicole A Ozer, Esq., Technology and Civil Liberties Director for the ACLU of California; Todd Weaver, Founder and Chief Executive Officer for Purism; Scott Jordan, Professor at UC Irvine; and Ashkan Soltani, Independent Researcher and Technologist. 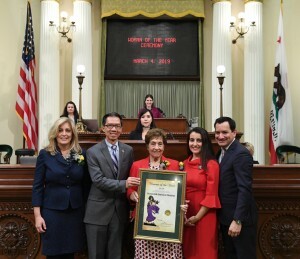 On March 4 Assemblymember Ed Chau (D-Monterey Park) honored Barbara Messina as the 2019 “Woman of the Year” for the 49th District during a legislative ceremony held at the Assembly Chambers. The ceremony recognizes women who have made outstanding contributions to California, as part of Women’s History Month. Barbara Messina is a lifelong resident of Alhambra. First elected to the Alhambra City Council in 1986, Councilmember Barbara Messina was Mayor of the City of Alhambra six times in twenty-four years. She also served eight years on the Alhambra School Board. 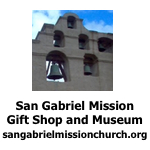 Some of her lifelong civic involvements include: President of the Independent Cities Association; President of the San Gabriel Valley Council of Government; Member of the Southern California Association of Governments representing Alhambra, Monterey Park, and Montebello; Board Member of the Alhambra Educational Foundation; and currently, President of the YMCA of the San Gabriel Valley. 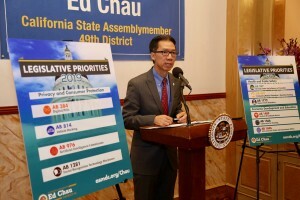 On March 15 assemblymember Ed Chau (D–Monterey Park) unveiled his 2019 legislative bill package, which focuses on the important work he will be doing in the areas of privacy and consumer protection, economic development and education, health, and public safety. Assembly Bill (AB) 976 would establish the Artificial Intelligence in State Government Services Commission to gather input on how artificial intelligence and data science could be used to improve state services. AB 1409 would provide students with greater broadband access, outside of the classroom, by funding Homework Gap Projects, such as Wi-Fi enabled school busses, or school or library Wi-Fi hot-spot lending, through the California Teleconnect Fund. “The Homework Gap is the cruelest part of the new digital divide and it affects 12 million children nationwide. To have a fair shot at 21st century success, students need the tools necessary to do their homework—and today that means having access to high-speed internet. 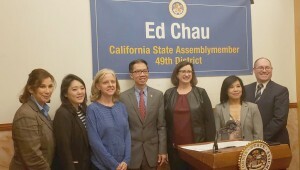 Thanks to Assemblymember Chau for drawing attention to this issue and working to close this divide and bridge this gap,” said Federal Communications Commissioner Jessica Rosenworcel. AB 453 would require training on dementia, for Emergency Medical Technician Paramedics (EMT-P), in order to provide appropriate emergency medical care to individuals living with this condition. AB 397 would establish driving under the influence of cannabis, or cannabis and another drug, as its own separate offense. AB 1772 would allow distinct, but related incidents of theft, whether committed against one or more victims, to be aggregated to a charge of grand theft. “For too long our communities have been less safe because of a technicality. Assemblyman Chau’s bill will fix that,” said Mayor Steven Ly, City of Rosemead. Assemblymember Chau was joined at the press conference by Mayor Steven Ly, City of Rosemead; Heather Cooper Ortner, President and Chief Executive Officer, Alzheimer’s Los Angeles; and Stephanie Ong, Senior Director, Communications & Advocacy, Common Sense Kids Action. Assemblymember Chau is the Chair of the Assembly Committee on Privacy and Consumer Protection and Select Committee on Emerging Technologies and Innovation. He represents the 49th Assembly District, comprised of the communities of Alhambra, Arcadia, El Monte, Monterey Park, Rosemead, San Gabriel, San Marino, Temple City and portions of Montebello and South El Monte.